Here's a report from the first week at my new job! TL;DR: In summary: intense, amazing week. My main focus for the next few weeks will be on core, particularly Drupal 7, and making it awesome. Can't wait to start. Day 1, a large chunk of time was spent in meetings covering some of the fundamentals. Who's who, what's the overall structure of the organization, and what's the general "org chart" of Acquia look like? What's the history of Acquia, what are our product offerings, and where are we headed? What's the process the engineering team goes through in order to develop new features to things like Drupal Gardens, and how does that compare with the process the design team goes through? How do the finances work in a start-up company with investors? This was all very interesting stuff, and I learned a ton. Including that all the people at Acquia I met are both super nice and wicked smart. Also, that you can get pop, chips, and beer all day long out of the Acquia fridges, plus little candy bars by the door. So I now weigh an extra 20 lbs, I think. ;) Yay. Day 2 was more focused on community stuff. Dries and I had a call among the various Drupal 8 initiative owners and community project managers, calls with the Drupal Association about governance structure, a call with the documentation team about the documentation "gate", and so on. Dries had set these calls up awhile ago, so this is part of the ongoing work in shepherding these initiatives. These calls were great both for helping flesh out some priorities in terms of goals and pain points, and also for ushering along various important "future of Drupal" stuff. Day 3's primary focus was on Drupal core and getting critical/major issues reviewed/committed, getting the "needs backport to D7" queue reduced, coordinating with the security team on a core release schedule, and so on. The day ended with a special "ice cream social" involving huge buckets of ICE CREAM and like 50 different toppings, which Acquia put on to help welcome me to the team. Aw! :D It was great to meet everyone on the team in such a delicious setting. Goal definition at Acquia comes in many forms. There are company-wide goals, which filter down to department-level goals, which break down into goals for individual people. And each of these goals needs metrics behind it so that you can tell if you're generally doing better or worse at that thing than last week, for example. My department is the Office of the CTO, which currently consists of Dries and myself. The goals of the office span both Drupal community stuff and Acquia stuff, since the office is basically Dries, so encompasses all of the things on his plate (which I can now say from now first-hand experience is extremely full!). On the Drupal side, these goals include things like shepherding Drupal 8, ensuring Drupal 7 is in good shape, helping out with Drupal Association tasks, improving collaboration tools on Drupal.org, growing the Drupal community through evangelism, and so on. On the Acquia side, these goals include things like directing product strategy, studying market trends and some of the competitive landscape, building relationships with the media and press, and recruiting/hiring/interviewing. These goals are split up between Dries and myself to tackle, with me primarily on the Drupal community side, and Dries straddling the line. A second hire to the Office of the CTO will likely be someone to help more on the business side of things. I’m particularly interested in fleshing out the metrics side of “how is Drupal doing?” in a way that can be consumed by the entire community. If folks have ideas about what some of these could be, please chime in! My primary role in Acquia is to help Drupal grow. This means helping with Drupal 7, Drupal 8, streamlining the collaboration process, and other initiatives that feed into this. Hands-down, the #1 problem I need to help tackle for at least the next few weeks is getting Drupal 7 in good shape. As most on the core development team know, morale and general activity in the queue could really use a boost. The lack of predictable point releases for D7 has had an impact on the porting of contributed modules, as well. In short, we need an infusion of focused energy and attention here to keep things moving along, so that will be my main goal. However, paradoxically, we also need to get Drupal 8 off and running, since we have many lofty goals that will take many months to get off the ground. Dries will continue to lead the strategic vision of Drupal 8, appoint initiative owners, work with the various teams to define "gates," provide key architectural advice, and so on. My role in Drupal 8 will be more tactical, "on the ground" coordinating with initiative owners to answer or escalate questions, identify things that are blocking them and figure out how we can solve them, looking for opportunities of possible new initiatives, and so on. Finally, I want to spend some time giving focused attention to our collaboration tools, and help identify some of the highest priority blocking things holding up core and contrib development, and help to solve them. While this probably won't involve something as grandoise as the Prairie Initiative, at least initially, I think there's a lot we can do with smaller wins, such as issue summaries, to kick-start our contribution processes. Next week I will be in Minneapolis for Drupal usability testing and DrupalCamp Twin Cities, with the hope being able to come out of it with some recommendations around what sort of usability initiatives we should do in Drupal 8. Minnesota is where I call my native home, so I will also be there spending time there with my family (a bit more somber than normal, due to a recent death in the family). So, fair warning that the initial progress on clearing the Drupal 7 backlog might be a touch slower than people would otherwise like to see. However, May 23 I'm fully back in business, and will focus on getting 7.1 out that week, which will come along with a whole bunch of bug fixes and performance improvements. And in the meantime, I'll be plugging away on issues, conversations, and so on to help drive these goals forward. Thanks for sharing; that was an interesting read. It's so great that there is a structured, for profit organization that can help grow and support drupal. Community is great and all but without strong leadership very little gets done. 1. What about a type of app store for modules (a buck a pop) to help support them? Or at least allow drupal.org members to put their credit cards on file and then, every-time they download a module, ask them if they wish to donate a buck (with just the press of one button)? 2.1 I think poor themes really hurt drupal. There are some good ones but how is anyone supposed to find them? I think there should be a user rating system for themes. 2.2 . A finished theme should A) not be allowed to be uploaded without passing some basic usability and artistic baselines as decided upon by a group of community members and B) not allowed to be uploaded without a live demo somewhere. (themes that don't fit these criteria should be put in another section of drupal.org called "experimental themes" or something). Anyways, thanks for all your hard work on d7. And say thanks to Dries; that guy's a rock star. This is a collection of people passionate about improving the collaboration tools on Drupal.org, and ways to solve some of the things you mention are being actively wrestled with right now. There are discussions about the implications of introducing payment systems on Drupal.org, as well as how to introduce better searching/browsing tools and project metrics to promote high-quality projects while avoiding stifling innovation and raising the barrier of entry for contributors. So the plan is to release 7.1 within 2 weeks, where it should be rather within 2 months? There are, more than a few, major issues in the queue, which I would say solid major issues. They were on the critical queue right before the 7.0 release. And it has been said that these issues are bordering the critical/major separation and its better to get them in with 7.1 instead of delaying 7.0 release further. They are downgraded in the last minute. Well, most of these downgraded issues are still not committed yet. Im not even sure if they are all RTBC. Plus, there are module blocking issues in the queue as you have mentioned. And finally, the "needs backport to D7" issues that needs attention, again, as you have already mentioned about. Dont you think 2 weeks is a very very short time for a 7.1 release, which will not make people await the 7.2 release right after? I know you are a supergirl and Im not questioning what you can accomplish by 2 weeks time but I was justing thinking about the rest of us, the earthlings. Im worried about a 7.1 release which has many bug fixes and some performance improvements, yet, still fails to remove some real blocks for people. PS: I couldnt find the chance to congratulate you for your new job and here it is... Congrats Angie! 7.1 has been in development for about 5 months now, and actually includes a lot (though not all) of the aforementioned bug fixes that are real blockers for the community, as well as numerous high-impact performance fixes, among other more minor stuff. We need to get it out, so we have an incremental release that also solves a number of the critical upgrade path issues, for example, as well as blocker issues for contrib modules. I'm hoping to be able to reach consensus on that within the coming days and have something formal to announce about this shortly. Will keep you all posted! My own feeling is that within the Drupal community the products, like Drupal Core, evolve quickly, but the process by which people work together tends to evolve more slowly. This is a problem. 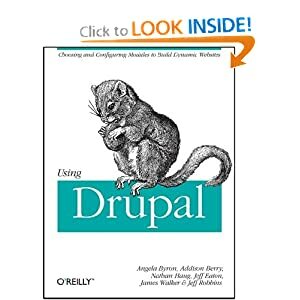 If Drupal cannot evolve and adopt new approaches with sufficient speed then potential and current contributors may go where the experience is better and, over time, the innovation and release cycle could itself cease to be competitive. This task is made all the more complicated since Drupal's ability to fulfill its mission and compete against larger, better funded competitors depends on its capacity to tap into a large pool of social capital - a corps of paid and unpaid coders whose creativity can foster new features and ideas. 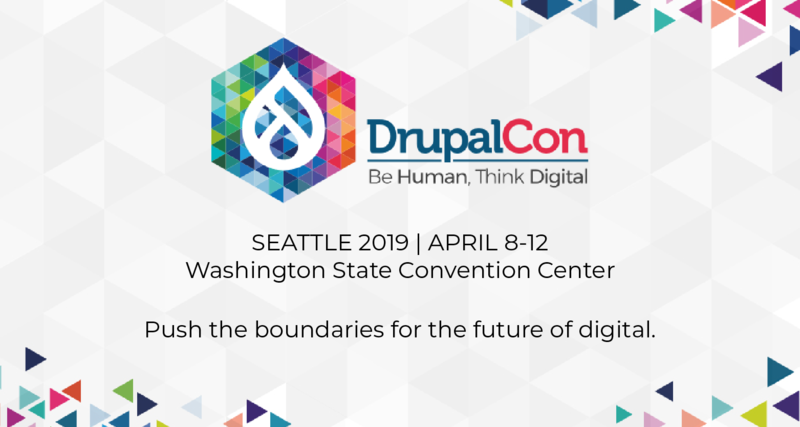 Competing at this level requires Drupal to provide processes and tools that can effectively harness and coordinate that energy at minimal cost to both contributors and the organization. That is seriously awesome, awesome stuff! Thanks!! How about asking Mozilla to come and give some talks about these topics at the next Drupalcon? I've had a chat with some peeps there and they look interested. I have been a new Drupal lover and as of now I tried to research its usability to my websites. Thanks. I just joined the webchix groups and looked up your name and read earlier this week you are now with Acquia. Just thought I'd mention that you probably overlooked changing your info at groups although it is changed on the main site. It is truly wonderful to see women in Drupal. You go girl! On behalf of the planning committee for DrupalCamp Twin Cities, please accept our most sincere appreciation for both your excellent keynote speach, and the generous sponsorship of Acquia Drupal. Based on feedback from attendees and speakers, the camp was exceptionally successful; the contribution of yours and other sponsors made that possible. Please help us plan an even better camp next year by replying to us about your experience: What went well, what could be improved. Again, thanks for your contribution.